Updating Your Driver’s License, etc. When you move, it is vastly important not to overlook the paperwork you need to fill out to let the government know where you are. You must update your voter registration, driver’s license info, and other paperwork to ensure your move is official and complete. 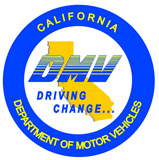 If you are moving from one state to another, you must contact the DMV as soon as possible to find out the requirements for registering your vehicle. The ‘grace period’ for moving in may be faster than you think, and this is something that interstate moving companies won't help out with. Personally travel to a local Department of Motor Vehicles office. Bring your ID, social security card, and all pertinent info you can think of. In the event you are moving out of the country, the laws for driving and owning a vehicle vary wildly from country to country. Doing research up front is vital to ensure you are permitted to drive as needed. Laws for boat, motorcycle, and recreational vehicle licensing also vary wildly from state to state. Doing research upfront is the key to ensuring all your vehicles are street—or sea—legal in your new hometown. If you are shipping your vehicle, it's probably best to know this before you start looking into these services. If you are moving within your home state, then changing your voter registration address is easy. Most states regularly send out forms to constituents asking about change of address. Please note that you must be a resident of your area for 30 days before you are permitted to vote. If there is an election before that 30 day period is over, you may elect to vote as an absentee. Updating your address with most debtors is easy. You can update online or over the phone with most banks nowadays. Updating the address on your credit card is even easier. Do not forget to update the billing address on all your debit and credit cards. If you don’t, you may find yourself wondering why you cannot pay with your debit card at the gas pump. Pet licensing laws also vary wildly from state to state. If you are moving from an area that is liberal on pet laws—most farming or “country” areas, for example—to a more strict area like New York City or Baltimore, then once again it comes down to the big ‘R’ word: research. In the event of a move, be prepared to get the paperwork done: vehicle registration, voter registration, your banking and debtor address changes, and pet licensing are all essential to making your move legit.